What size your vans/lorries are? We maintain a large fleet of vans and removal trucks that vary in size. We have small, mid-sized and large vehicles that are ready to service moving projects of any scale and nature. We work with cash, Visa and MasterCard, bank transfers, wire and invoicing. We do not have a preferred method of payment, it is all up to what would be most comfortable for you. Do you do home removals/office removals/etc.? 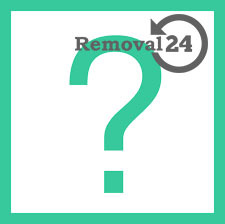 At Removal 24 we specialize in all lines of moving jobs out there. Our movers are licensed for domestic and commercial operations alike, and we never turn down a job because it is too big or too small. Can you move my piano? Naturally, all sorts of moving jobs are within our scope. We move pianos, other large music instruments, art and antiques. We are often hired by galleries and museums for such specialized removals. All you have to do is inform us in advance about the nature of the moving job you want us to help with. Yes, we are available for weekend and late-night operations for a slightly increased price. Do your services come with insurance liability? Full Goods in Transit insurance can be added to your quote at any time prior to the actual moving day. Do I need to arrange parking at the premises? We would appreciate if you informed us about any peculiarities concerning the parking permissions in your area. Our experts can arrange the parking permits, but we need to know in advance. Are you open to last minute booking? We prefer to be informed at least a week or two in advance about a moving job, but we understand that emergencies occur often, so we try to maintain our schedule as flexible as possible. Check out availability with our customer support for last minute booking. Do you do inter-city relocations? All our movers are certified for professional domestic and commercial removals throughout the UK. If you are moving to another city or town, we can arrange a moving service for you. Yes. We try to accommodate the needs of our clients at best, which means that we will take the necessary measures to make your home removal as smooth and stress free for your kids/pet animals, as possible. How do you estimate the price for a removal? We have a special custom removal quote calculator that takes into account the individual specs of every job thus producing a fair competitive price. Relevant factors include floor size, number of movers required, exact time of the relocation, packing supplies and the special individual preferences of the client. What else can you offer me? In addition to moving we offer a wide range of supplementary services including end of lease cleaning, storage services throughout London, delivery of packing supplies, furniture delivery etc. Our customer support is available over the phone at all times, and via email around the clock.